In the past six weeks, there has been a lot of participation in the CSMI Research Surveys, both by companies who have established CSM groups and by those who are planning to do so in the near future. Two new Sponsors , CSM technology vendors ToTango and JBara Software, have come on board to join Apptegic and The HotLine Magazine. Over on LinkedIn, The Customer Success Management Forum has seen a substantial increase in membership and a couple of very interesting discussions. Under the heading of Strategy, there are a variety of labels being applied to the role, and an even greater range in how the role itself is defined. Customer Success, Client Success, Client/Customer Engagement and/or Retention — even Customer Success Advocate. The more interesting information, however, comes from the answers to the questions: Where does the CSM first engage with the customer? Where do they disengage? In some companies, CSM is essentially another name for the Implementation Team. In others, it’s the “fire-fighters” brought in to try to save an at-risk account. 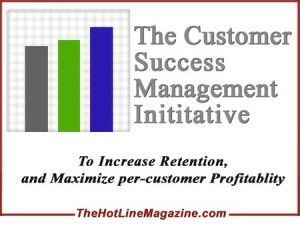 But in many companies, the CSM group is becoming the authentic owner of the ongoing customer relationship, chartered with the responsibility for customer retention and maximizing per-customer profitability. Process: Where do the bulk of the customer-CSM interactions take place? The phone line. Some teams have regular on-site visits, others never do. Email is the second most common method. People: Where do companies look for CSM candidates, and what kinds of salary levels are offered? Generally, CSM’s tend to be well-paid, and are recruited from a variety of sources — including some surprises. Where is the group located on the company organization chart? Some CSM groups are headed by a CxO, others report to Sales or Ops. As the new profession develops, expect to see a good deal of organizational migration along the way. Technology: Surprisingly, most companies do not have the ability of monitoring which specific features of their applications are actually being used by their customers, a core requirement for effective customer success management. Some developers have gone back and added this capability themselves, while others have opted to buy it from 3rd party vendors. Metrics is another sensitive issue. How should a company measure the effect of its CSM group? Progress reports for The Customer Success Management Initiative research will be sent out to the CSM mailing list no more than once per month. 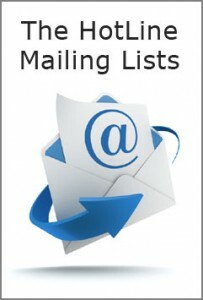 If you haven’t joined the mailing list, here’s the link  to the signup page. Participation in the CSMI Forum on LinkedIn is another good source of up to date intelligence about the developments in the emerging profession. 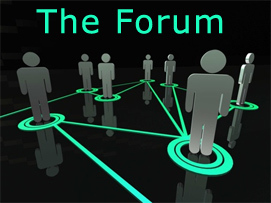 Information about the Forum may be found here . Both Research surveys are still open; those who fully complete a survey will receive a complimentary copy of the Report. All responses will be kept strictly confidential; only aggregate data will be used in the Report. If your company has already established a CSM group or role, click here  to take the Survey. If you are planning to build a CSM group or role, the 26 questions of the survey will be of value in the planning process. Here is the link to the second survey version. Questions? Post them here , or join us for a complimentary Office Hours  session.